I am Thomas Gazis, a Greek astrologer, writer and speaker. 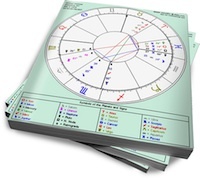 I have written two astrology books and articles for many magazines (among them “American Astrology” and “Horoscope Guide”). I have extensively lectured almost all over Europe and I have been invited to lecture at the UAC 2012 conference in New Orleans. I am offering live consultations via Skype - or a 45 minutes audio file with the analysis of your Natal chart or Synastry at your E-mail (in a mp3 format) .